Mulvane EMS is required by law to maintain the privacy of certain confidential health care information, known as Protected Health Information or PHI, and to provide you with a notice of our legal duties and privacy practices with respect to your PHI. Mulvane EMS is also required to abide by the terms of the version of this Notice currently in effect. Information on Other Services. We may also contact you to provide you with a reminder of any scheduled appointments for non-emergency ambulance and medical transportation, or to provider information about other services we provide. · For research projects, but this will be subject to strict oversight and approvals. · We may also use or disclose health information about you in a way that does not personally identify you or reveal who you are. Internet, Electronic Mail, and the Right to Obtain Copy of Paper Notice on Request. A copy of this Notice is posted on our web site. 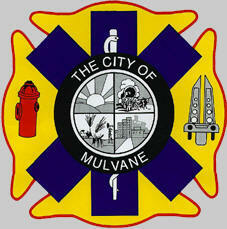 Revisions to the Notice: Mulvane EMS reserves the right to change the terms of this Notice at any time, and the changes will be effective immediately and will apply to all protected health information that we maintain. Any material changes to the Notice will be promptly posted in our facilities and posted to our web site. You can get a copy of the latest version of this Notice by contacting our privacy officer. have the right to complain to us, or to the Secretary of the United States Department of Health and Human Services if you believe your privacy rights have been violated. You will not be retaliated against in any way for filing a complaint with us or to the government. Should you have any questions, comments or complaints you may direct all inquiries to our privacy officer.